God created all things and called them good. Acknowledging the brokenness of the world and the ways the Church has condoned that brokenness through its own silence, we trust in God’s abiding love and extravagant welcome. At Westfield, we welcome everyone as full participants in the life and sacraments of Christ’s church. Everyone includes people of any age, economic status, gender identity, gender expression, marital status, race, sexual orientation, faith background, life experience, or physical, emotional, and mental capability. Simply put: everyone, everyone, everyone is welcome. No matter who you are or where you are on life’s journey, you are welcome here. 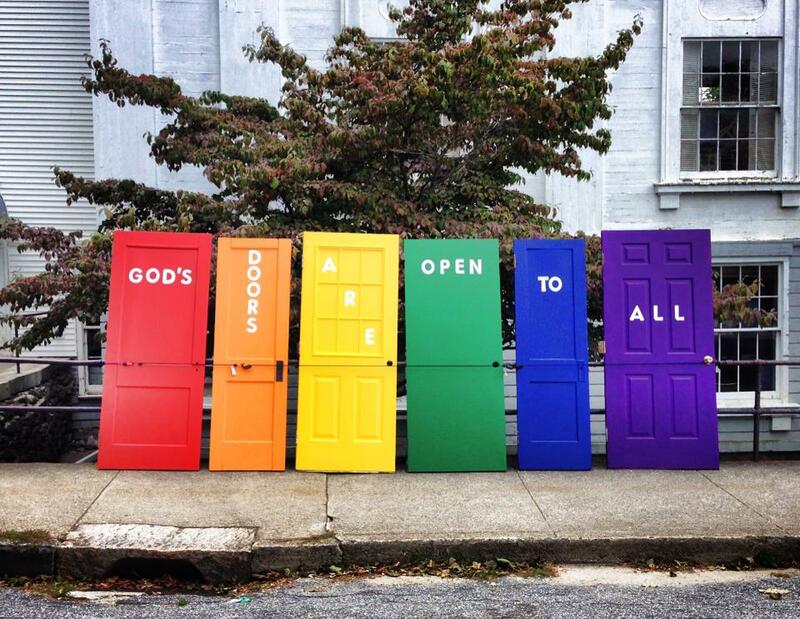 Open and Affirming (ONA) is an official designation with the United Church of Christ (UCC) that signals a fundamental commitment to welcoming members of Lesbian, Gay, Bisexual, and Transgender community into full participation of the life and ministry of the local church. Why did Westfield become ONA? Westfield has long been welcoming to the LGBT community. Over time, we realized that we knew who we were, but that we didn’t have a public way of sharing that with our community. Becoming Open and Affirming is a way to formalize what we have long known to be true: Everyone, everyone, everyone is welcome here.